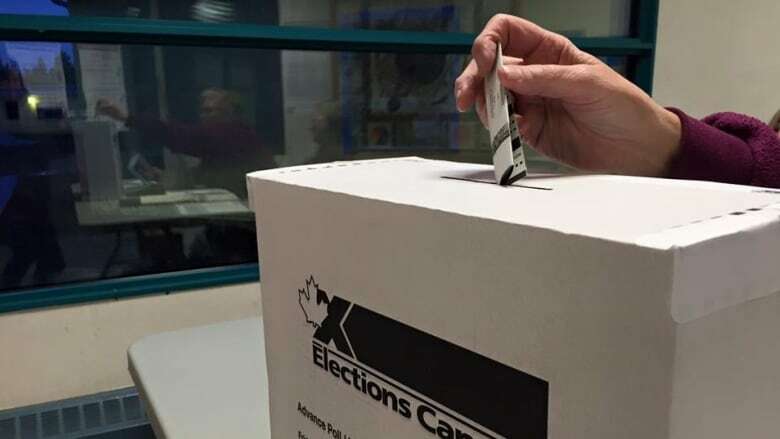 More than twice as many people in the territories took advantage of advance voting in the 2015 federal election than in 2011, according to preliminary figures released by Elections Canada. More than twice as many people in the territories took advantage of advance voting in the 2015 federal election than in the previous election, according to preliminary figures released by Elections Canada. According to Elections Canada, both the Northwest Territories and Yukon had approximately double the number of advance voters as in 2011. In N.W.T., 2,746 residents cast advance votes, an increase from 1,262 in 2011. In Yukon, 3,013 people cast advance votes, an increase from 1,578. The increase was even higher in Nunavut, where 1,109 people voted during the four days of advance polling. That number is more than triple the advance turnout in 2011, when 355 people cast advance ballots. In total, 6,868 people voted at the advance polls in the three territories, a 115 per cent increase from the previous election. This year, there were four days of advance polling, in comparison to three days in 2011. "Many Canadians chose to vote at advance polls in this election," said Chief Electoral Officer of Canada Marc Mayrand in a statement. "Having four polling days provided greater flexibility and convenience for voters." Elections Canada figures indicate that 3.6 million Canadians voted at the advance polls, in comparison to the 2.1 million electors who voted in advance for the 2011 general election. Friday and Monday were the two busiest days of advance voting ever — more than 850,000 Canadians voted on Friday and more than 1.2 million on Monday. Not all polls may have yet reported.